In the hilly town of Darjeeling, two places are added to the tourist attraction known as Rock Garden at chunnu summer falls and Ganga Maya Park in the state of West Bengal. 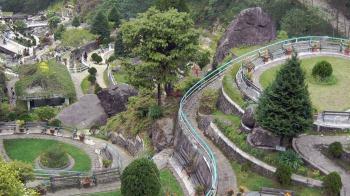 Rock garden is also known as Barbotey Rock Garden which is 10 kms away from the Darjeeling town in a valley down below. The garden is called Rock Garden because the entire garden area has been created by cutting rocks at different levels and making terraced seating arrangements at various levels. On proceeding towards Rock Garden you have to take right turn from the town along hill cart road. There are many scenic views at many point while going towards the garden and the road descends into the valley rapidly.